KUCHING, 4 APRIL 2019, THURSDAY: Sarawak Energy has stepped up its power theft detection efforts, with more intensive and continuous training for its meter technicians to be able to identify the latest power theft methods, including identification of fake meter parts. As a result of these intensified efforts, Sarawak Energy subsidiary Syarikat SESCO Berhad (SESCO) have uncovered three new cases of tampered meters in recent meter inspect ion operations. 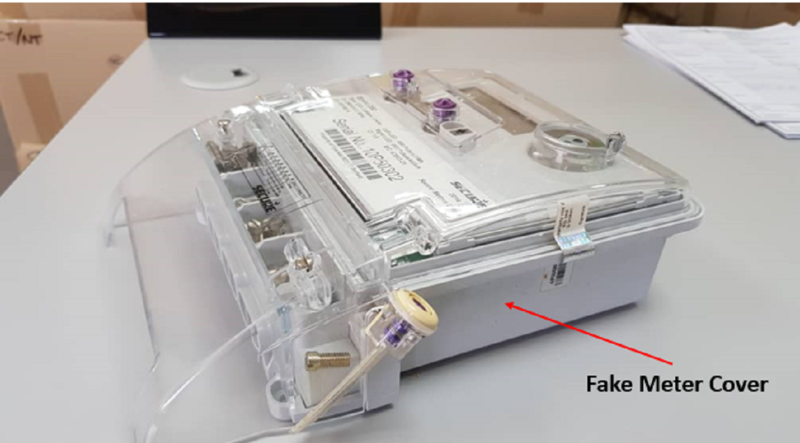 Each of the three cases involved fake meter covers in three different locations in Kuching and Miri. Acting upon public tip offs and after weeks of surveillance, two private residences and a massage parlour were raided by a special taskforce consisting of SESCO personnel, officers from the Electrical Inspectorate Unit (EIU) of the Ministry of Public Utilities. The operation was conducted with the assistance of the Police. SESCO’s well-trained technical teams who specialise in meter inspection were able to immediately identify the fake meter covers and the tampered internal components of the meters which caused the meters to record lower electricity consumptions. The fake covers found during the raid were similar to the ones found in operations held jointly with the Malaysian Anti-Corruption Commission (MACC) in Miri in August last year. Hundreds of fake meter covers were found in a house operated by a power theft syndicate member that led to several arrests. 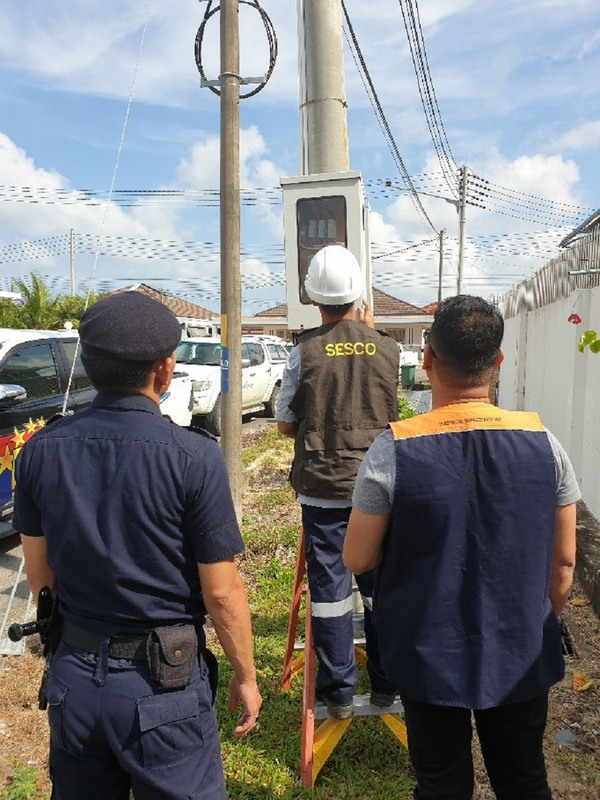 Sarawak Energy also carried out an internal investigation on the case which led to the termination of meter readers employed by SESCO’s contractor, believed to be working with illegal meter tampering service providers. Sarawak Energy will continue to actively carry out meter inspection operations throughout Sarawak with government agencies and authorities such as the MACC, EIU and the Police. All power theft cases are referred to the State Attorney General (SAG) Chambers for criminal prosecution. Sarawak Energy reminds the public not to trust any service providers claiming to be able to adjust electricity bills with limitless electricity usage. Stealing electricity is an extremely dangerous crime as it endangers lives and can cause damage to the customers’ electrical appliances which will lead to fire. The offence of power theft is punishable by law, with a fine of up to RM100,000 or 5 years jail or both, if found guilty. The public can continue to report to Sarawak Energy on any power theft information via the hotline 082-443535. All information will be kept strictly confidential. Special taskforce inspecting the electricity meter at the massage parlour. Inspection at the private residence at Jalan Acorus, Miri.